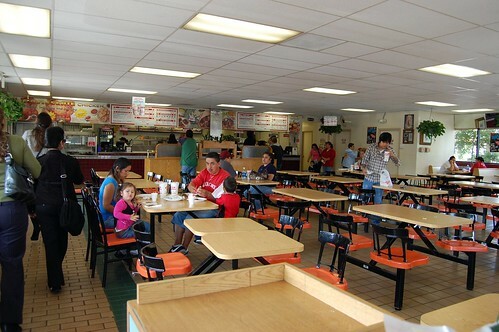 If you live in L.A., and you've never been to King Taco, I feel sad for you. My work besties and I had a lovely lunch at the one on Garvey in El Monte. I absolutely have to have those nachos. They look amazing. Thanks to you I think I'm going on the hunt for some at lunch. My diet loves your food blog. damn you, now I'm hungry. 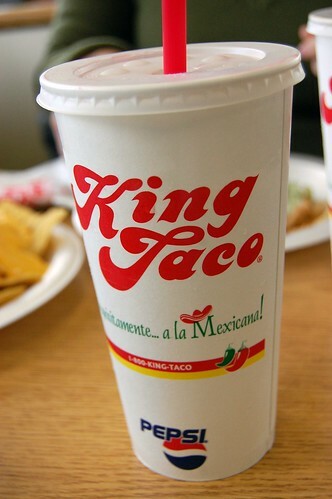 Wow your King Taco is way better than ours. The one by my office is all cramped and has like 3 tables and you're afraid to park within 10 blocks of it. But we still go. It's that good. That's the King Taco I go to! I love their sopes. SO GOOD. Their salsa is crazy hot, and I'm no wimp to heat. Even the "mild" one sets my mouth on fire. this is right up my alley. yummy. They are opening one near the skating rink I go to. I guess it's will be convenient for working off all the tacos and nachos I see in my future. 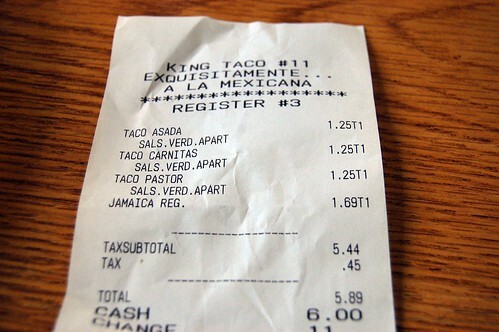 i still need to go to a king taco, man those tacos look delicious. I love the receipt. That sure looks like it beats Taco Bell. Mmmmmmm! Now I'm craving tangy nachos again! 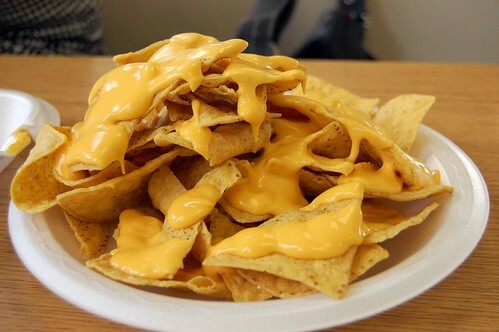 Those nachos look muy yummy. However, I am most jealous that you, as a ________, have time to leave for a lunch, when I, as a ________, am stuck slaving away in my interior, no windowed, office. Bitter table for one, please. 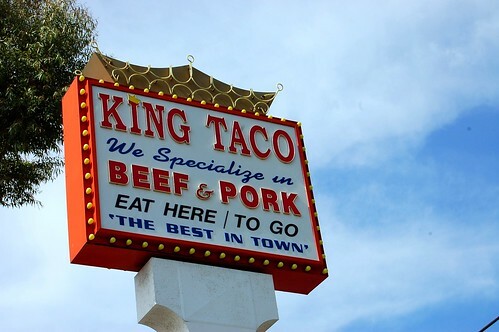 feel sorry for me, i have yet to go to king taco. hoping to remedy that soon, though. 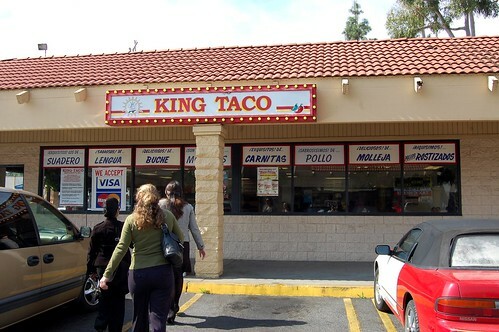 ah, king taco! good times. 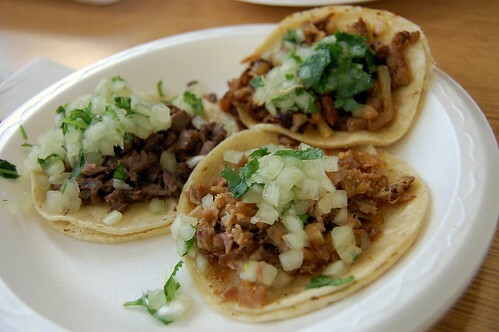 I LOVE King Taco! Now you're making me drool. 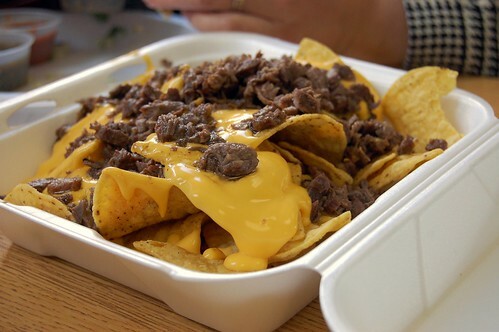 I neeeeed some nachos now.